A range of coach bolts, also commonly known as carriage bolts or cup square bolts in either A2 (304) or A4 (316) stainless steel. 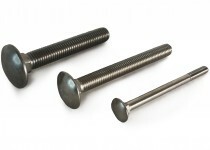 Coach bolts are used widely in the construction and landscaping industries. The square under the head pulls into the timber and means you do not need access to both ends of th bolt when tightening. 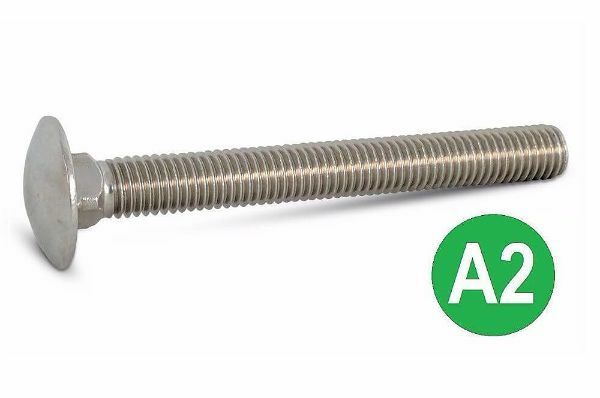 All of the bolts in this section are stainless steel meaning they are suitable for exterior use or in areas where the bolts will be exposed to excess moisture. Please note that stainless steel coach bolts do not come supplied with nuts.